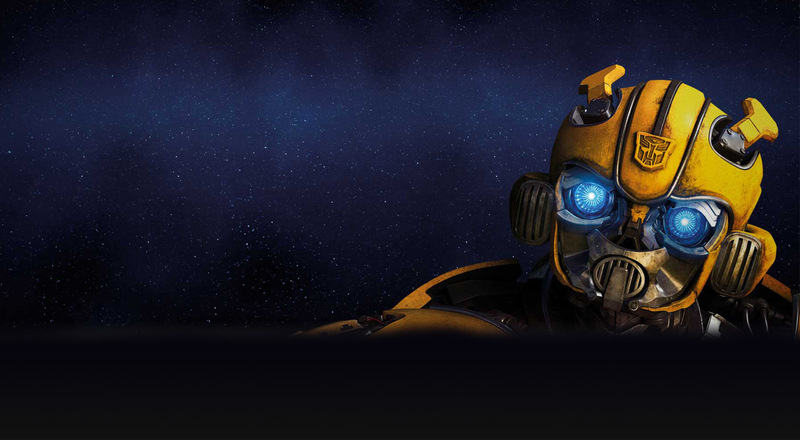 Altogether less cynical and garish in its worldview, Bumblebee worships at the altar of Steven Spielberg and John Hughes, favouring peppy wholesomeness and a reduced scale of events that doesn’t rely on the graphic leveling of cities for thrills. With Kubo and the Two Strings’ Travis Knight at the helm, the action is staged with pleasing, straightforward clarity. For veteran Transformers buffs, the return to the Gen-1 designs is a most-welcome sight to behold as are the cameos from several fan favourites absent from Bay’s films. Yet for all its virtues, there’s also a sense of a little-too-late hanging over everything. If Bumblebee had been the first live-action Transformers out of the gate, we’d probably still be singing its praises today. But Christina Hodson’s screenplay, while giving Hailee Steinfeld a wonderfully plucky heroine role, is teeming with so many familiar human/robot-bonding beats, at times it resembles a shameless remake of Brad Bird’s superior The Iron Giant. And if you’re allergic to on-the-nose, overly calculated nostalgia (The Smiths needle-drops, The Breakfast Club nods, etc. ), Bumblebee is guilty as charged. It's an effective reimagining that also bears a knowing resemblance to classic youth-oriented films from Bumblebee executive producer Steven Spielberg. "Bumblebee," for its part, has just enough wit, playfulness and charm to develop a voice of its own, which is no small thing in the context of a flashy, lunkheaded studio franchise. Knight and Hodson have salvaged something agreeable from an otherwise badly dented series. "Bumblebee" is basically the movie that fans of the 1980s animated series wanted all along. An impassioned ode to both the toys and their era, this, at last, is the Transformers movie we've been waiting for. ...a fun, well-acted, exciting and even emotional piece of popcorn action. In a better, truer cinematic universe, Travis Knight would have been in charge of the Transformers franchise all along. Move over Herbie: Fully Loaded, there's a new champion in the girl-and-her-VW movie genre.